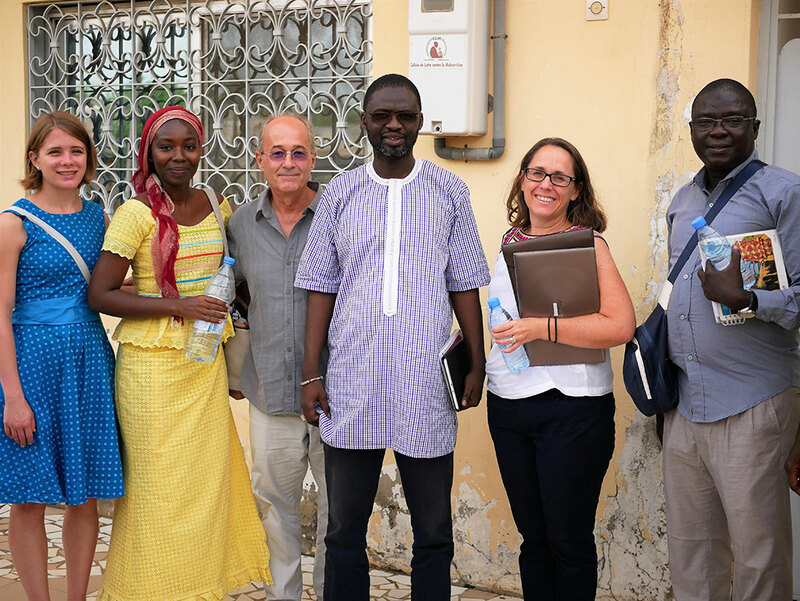 A group of USAID/Senegal and SPRING/Senegal staff observed a few of the activities initiated with SPRING’s support during a three-day field visit from September 19-21, 2017. 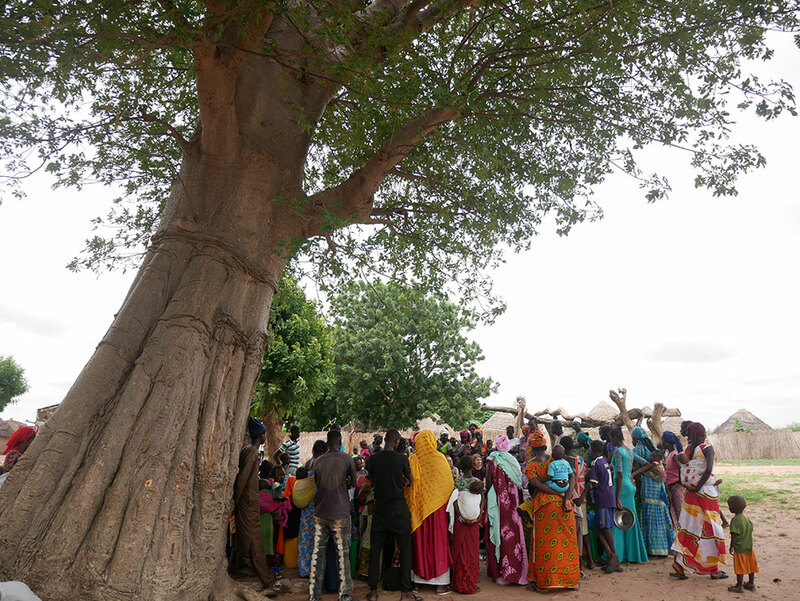 The group visited six communities and saw nutrition-sensitive agriculture and social and behavior change activities including a micro-garden and a community video dissemination and discussion session. 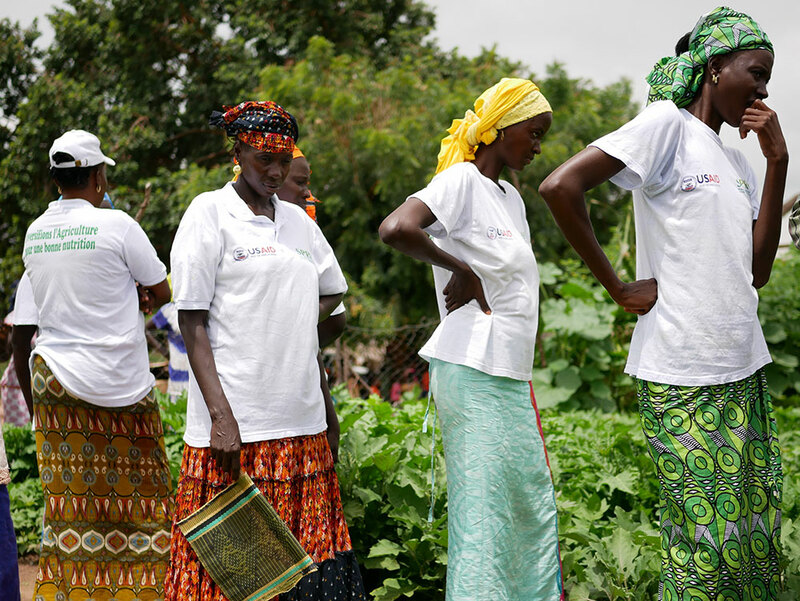 Working through partner organizations, networks, and cooperatives, SPRING has brought new approaches and tools to help increase these communities’ nutrition, health, and household income. The group included USAID Senegal’s Agriculture/Nutrition Specialist Megan Kyles; Reproductive, Maternal, Newborn and Child Health Specialist Hassane Yarodou; and Abdoulaye Ndao, a USAID field officer based in Tambacounda. 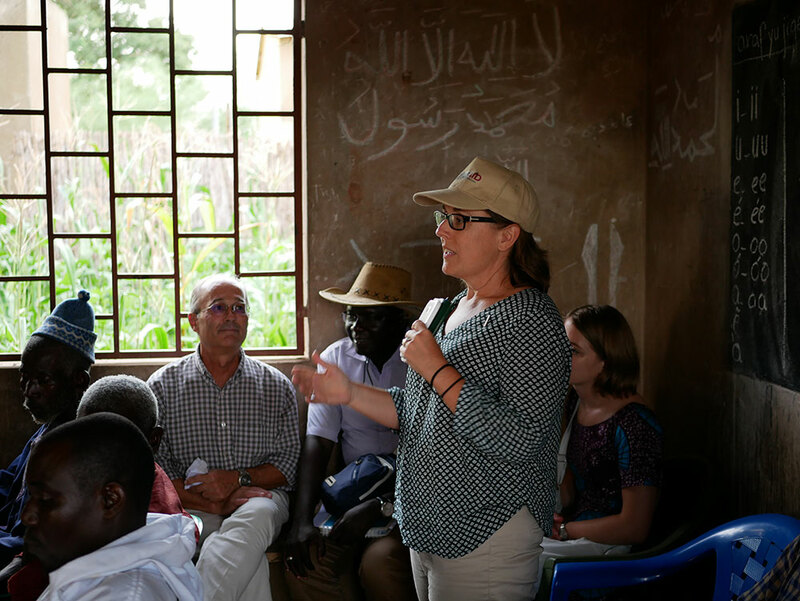 The group was accompanied by key members of SPRING’s staff including SPRING/Senegal Chief of Party Bob de Wolfe and SPRING Project Officer Kate Litvin. 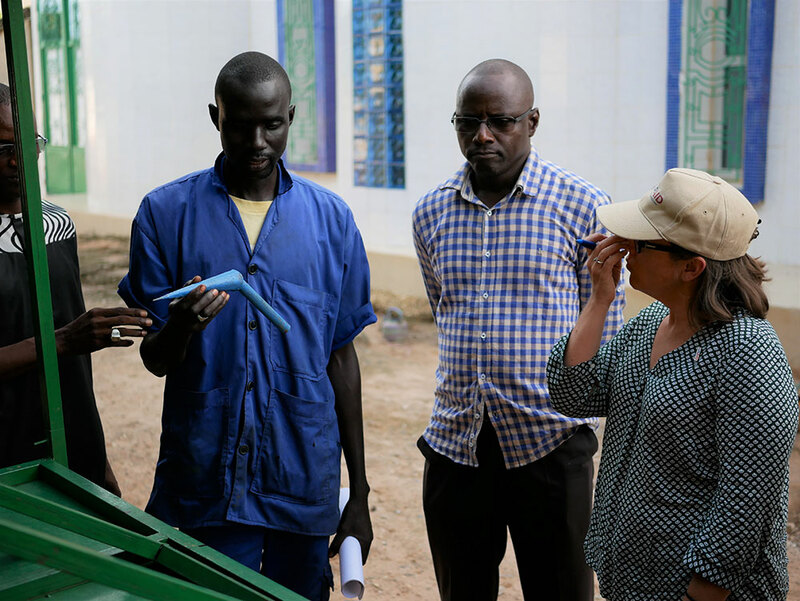 On the first day of the field visit, the group met with one of several community-based service providers (CBSPs) that SPRING had trained to manufacture agricultural equipment (such as hoes and shovels) to use and sell to community members. 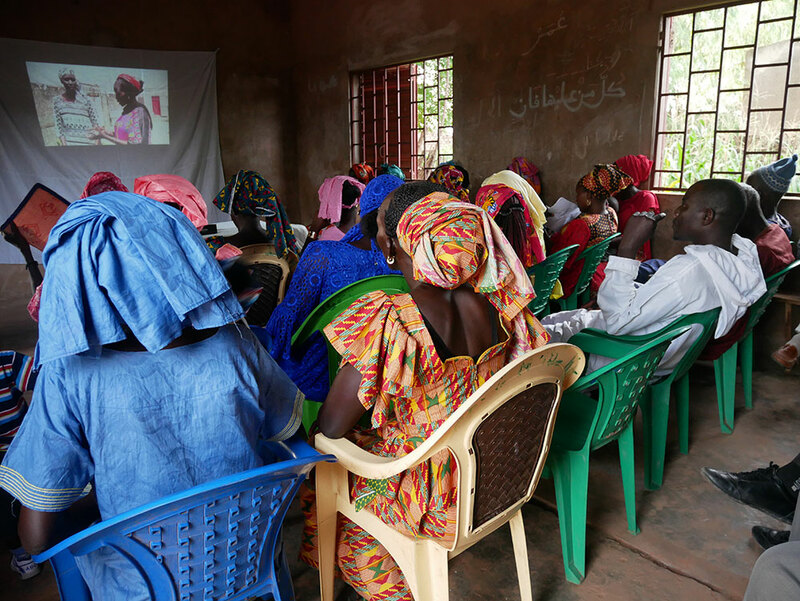 SPRING organizes trainings for different types of CBSPs creating and selling products varying from agricultural tools to soap and hygiene products. SPRING also assists CBSPs by introducing them to potential customers, primarily community members who need access to these tools and products. The day ended with the group participating in the dissemination of a community video on dietary diversity. The visitors observed how a typical video dissemination takes place and asked questions to the disseminator as well as to the gathered community members. The second day of the trip began with a visit to the Mayor of Thiaré, El Hadji Omar Drame, who is also president of one of SPRING’s agricultural partner networks, UGPCL. In Thiaré, the delegation was welcomed by the gathered community members who showed them different crops that they had been able to grow in their micro-gardens, such as bio-fortified millet and maize, and orange-fleshed sweet potato. 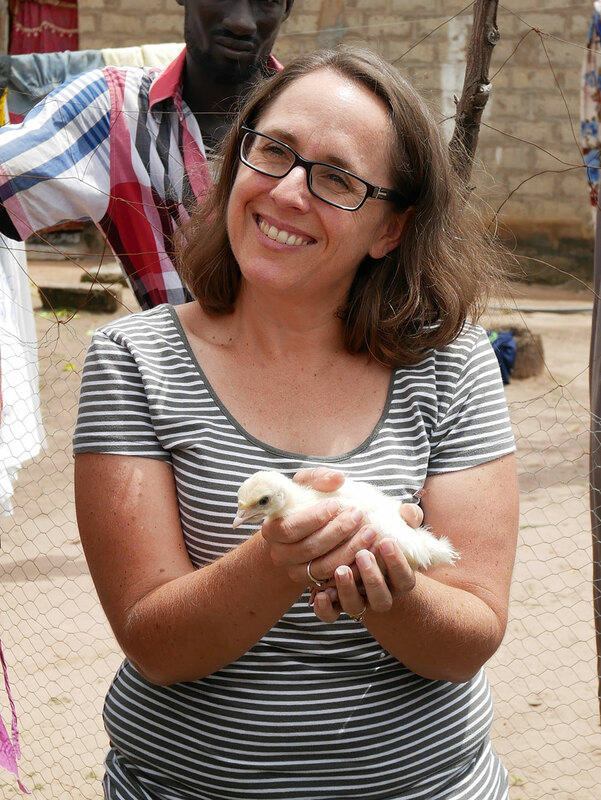 The group also saw the benefits of SPRING’s improved village poultry approach which helped increase community members' access to animal source foods, through the consumption of chickens and eggs. The group also saw the operation of a cereal processing unit. SPRING distributed two cereal processing units to each of its six agricultural partner networks in order to reduce women’s workload. The 3-in-1 machines automatically shell, grind, and crush cereals - time-consuming tasks traditionally done by women using a mortar and pestle. 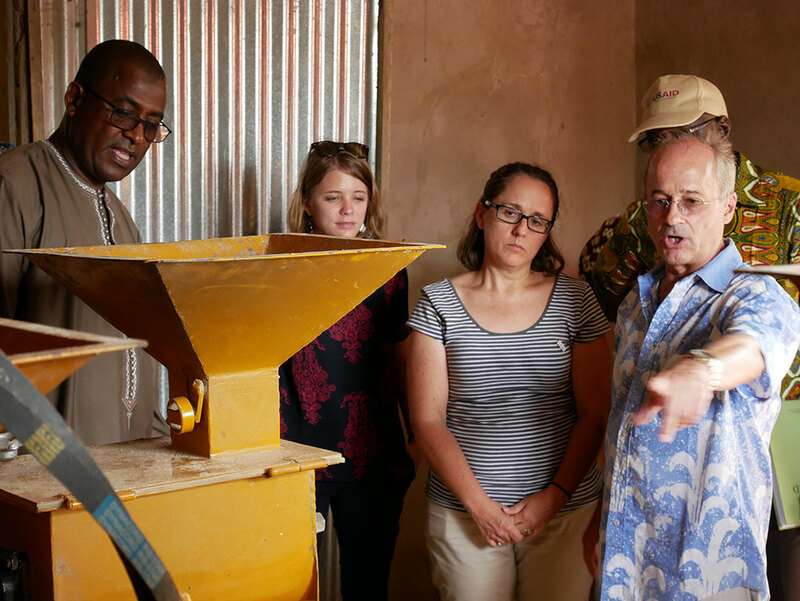 SPRING also trained all six partner networks on the technical and business elements of operating and maintaining the machinery used to process cereals like maize and millet. The day concluded with a visit to a gender champion couple. 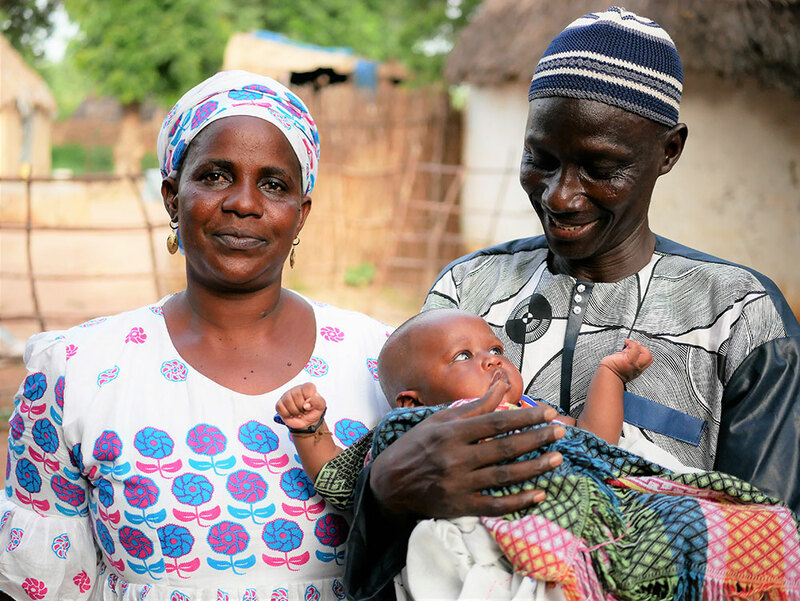 SPRING’s multisectoral approach to improving nutrition involved promoting gender-sensitive best practices through community-based gender equity advocates referred to as "champions." 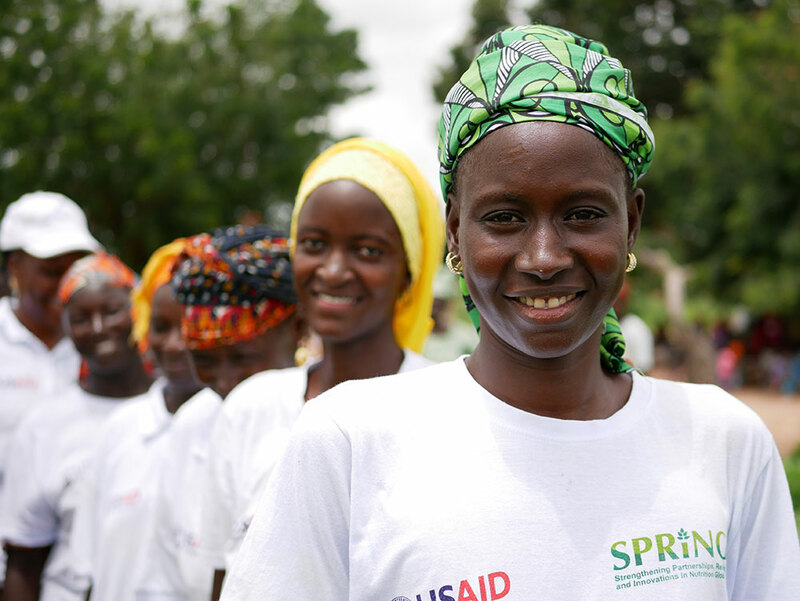 SPRING identified couples known for their equitable performance of chores in the household and equipped them to be advocates of gender equality in their communities. The final day of the field visit began with a visit to the office of the Unit for the Fight Against Malnutrition. 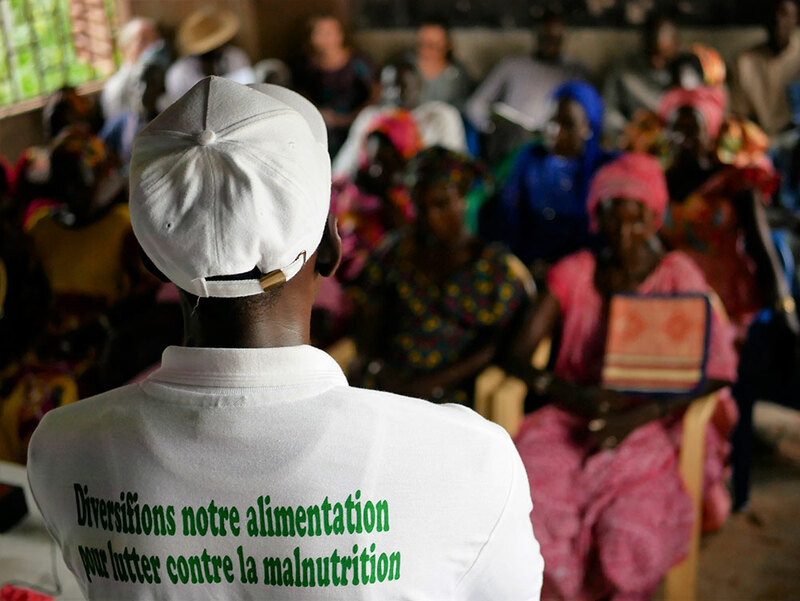 [Cellule de Lutte Contre la Malnutrition (CLM)]. 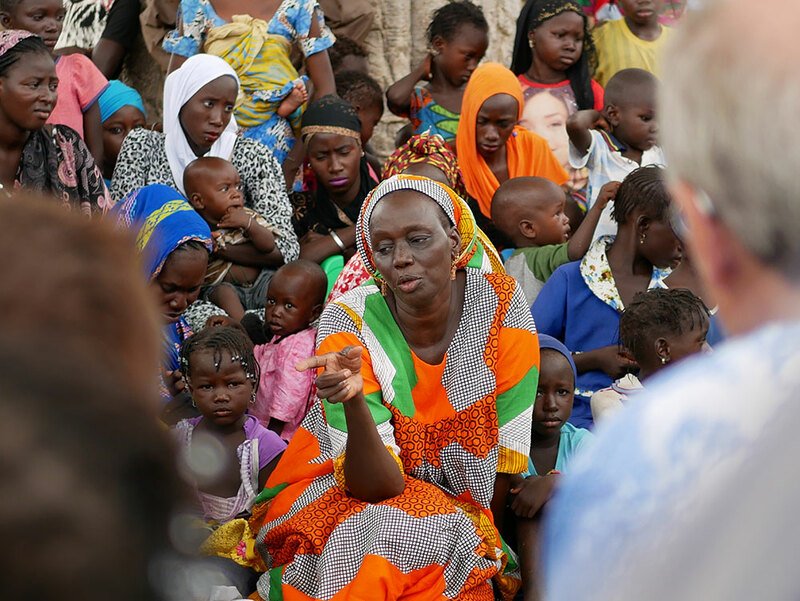 The CLM is the Senegalese government’s multi-sectoral coordinating body for the fight against malnutrition, which is attached to the Prime Minister’s office. The group met with the CLM’s zonal coordinator for Kaolack and had a lively discussion about SPRING’s partnership and collaboration with the CLM. The trip ended with a visit to Al-Fayda FM in Kaolack. 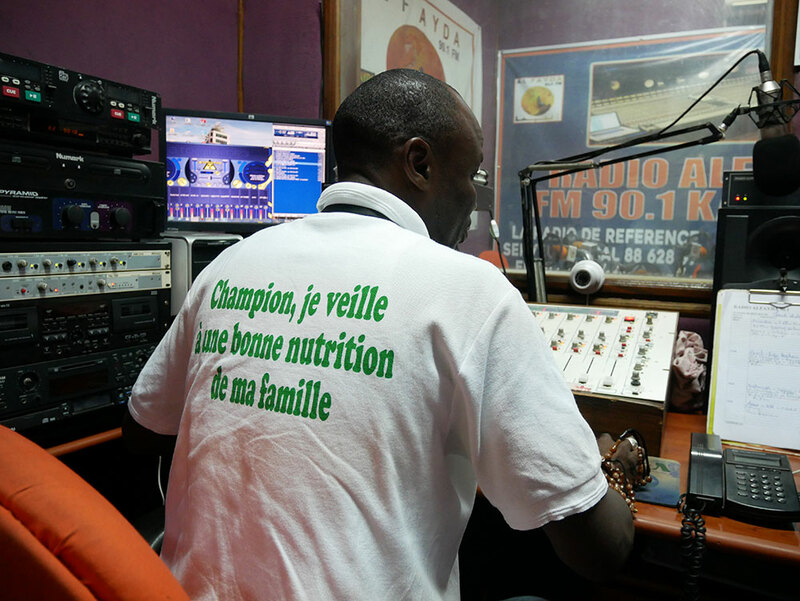 Al-Fayda FM is one of six partner stations that shares SPRING’s messaging on nutrition, hygiene, and gender with communities in the form of radio spots and radio programs. The group was able to see first-hand how these spots and programs were recorded and broadcast.